We're chuckling as we write this, looking back at the title to our last post over two years ago. #MormonMafia. Maybe you thought we'd broken the code of silence and been clipped. Or went into hiding. Would have been cool to be modern mormon martyrs. No such luck. We just stopped. We woke up one day and knew we were done. We let the blog sit, thinking the content was still good so why not leave it online for others to find and read. Then, a few months ago, someone approached us about resurrecting the blog. Seemed like a good guy so we're turning it over to a new family. He'll be the top-level management. The boss. The don. 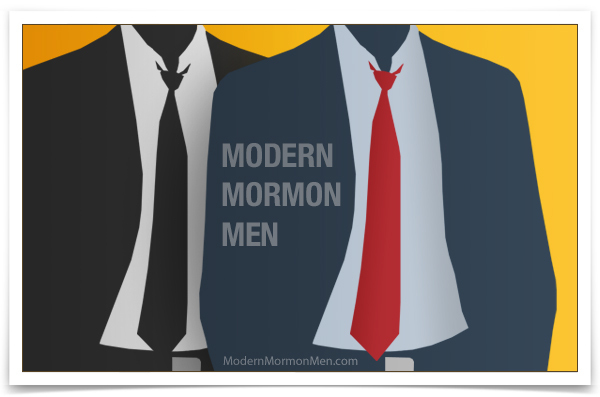 The new modern mormon man. So come back soon for new mormon crank. We hope it's as addictive as our stuff was. You'll always be family, but we're leaving the business for good. Gotta go, we have a waste management business to run. Jon and Scott from all of us, thanks for the laughs! More than once I woke up my wife because I was laughing while reading a post late at night. On a serious note thanks for contributing to the Modern era of our church. Your thoughts, paradigms and the way you presented them were always enlightening and hit the proverbial "nail on the head". May the world of waste management hold great things for you!